French cheeses are going extinct. In a literal sense, this dramatic statement holds some truth – raw-milk “traditional” cheese varieties, characterized by specific sets of bacteria, are dying out due to regulatory mechanisms, consumer disinterest, and a shifting agricultural model. 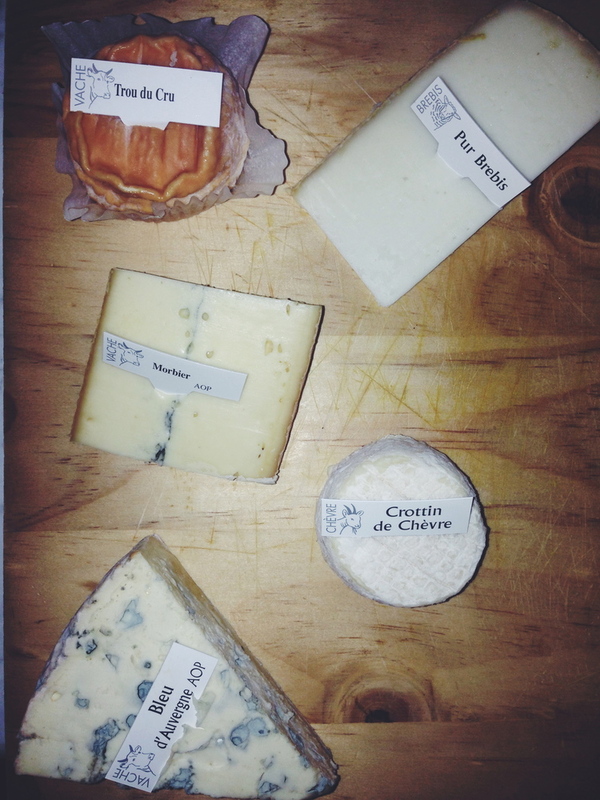 French culinary authorities hold unpasteurized or raw milk-based cheese in high regard, even as a defining tenet of French national identity. But realistically, traditional unpasteurized French cheese may not survive in an increasingly standardized and industrialized global dairy industry. The U.S. FDA and CDC published official warnings on the safety of unpasteurized dairy products, citing a high risk of foodborne illness; about half of all U.S. states prohibit the sale of unpasteurized dairy items, and the official stance of the FDA is to avoid all raw milk products. French cheese producers became increasingly global, taking up 2 of the top 3 spots in international market share (Danone and Lactalis). These French dairy giants tended towards pasteurization in an attempt to appeal to the large U.S. market – which limits, if not prohibits, unpasteurized products; beyond legality, there is little to no consumer demand for these products in the U.S.
Small-batch, artisanal, “traditional” French cheese producers increasingly shut down operation as it became financially impossible to keep up with industrialized cheese companies. The popularity of the supermarket pushed industrially-produced cheese to the forefront in an assurance of consistency and mass availability. The FDA and CDC extoll the virtues of pasteurized dairy. But when you truly examine the dangers of raw milk-based products and the foodborne illnesses associated with them, confusion arises. A much higher level of risk is associated with raw meat – which many people handle and even eat daily without consequence – or even further from the issue, automobiles. Foodborne illnesses associated with raw milk have been discovered; however, the conditions under which these harmful bacteria arose were very specific. Many reports assert that during the first half of the 20th century, raw milk and unpasteurized products contributed to a significant number of bacterial illnesses – but most findings were traced back to unsanitary conditions at the origin of production. Conveniently, much of American industrialized agriculture involves an extremely unhygienic, overcrowded system in which yield is heralded above all. Ultimately, the FDA’s promotion of pasteurized cheese may be simply an American attempt to justify and validate unsanitary production conditions in an agricultural system that produces high profit margins, thus protecting its dairy industry driven by large corporations. Altering the means of production would be infinitely more costly than simply treating the issue after-the-fact with a little bit of bacteria-killing heat. Industrial Feedlot in Indio, California. Photo by David Oliver. There is a clear correlation between globalization, American agricultural industrialization, and the state of French cheese. But will France continue to follow in America’s industrial footsteps and lose touch entirely with one of its richest cultural histories, raw milk cheese? Steadily dropping rates of production coupled with continued global dominance of standardized French dairy corporations point to “yes.” However, France has some things America did not – a deep cultural connection to cheese, an agricultural tradition rooted in impassioned political history, and the AOC label – a government-regulated marker applied to French products that reflect national cultural significance and meet certain production requirements. The question now is if the French care enough about their cheese to save it in light of globalization and industrialization trends. Is French culture worth the extra time and money it takes to support local varieties and artisanal producers, or do supermarkets and industrial cheeses better serve increasingly global (yet still French) citizens? Globalized, industrial dairy and the dominant French champions of it are not going anywhere. The answer to the fate of French cheese comes in the form of consumers, and the desire (or not) to preserve a national culinary tradition. (Additional reading on French cheese can be found here). Posted on September 19, 2014 September 22, 2014 by srchristofferson	This entry was tagged AOC, cheese, cuisine, food, food politics, France, French cheese, French culture, fromage. Bookmark the permalink.